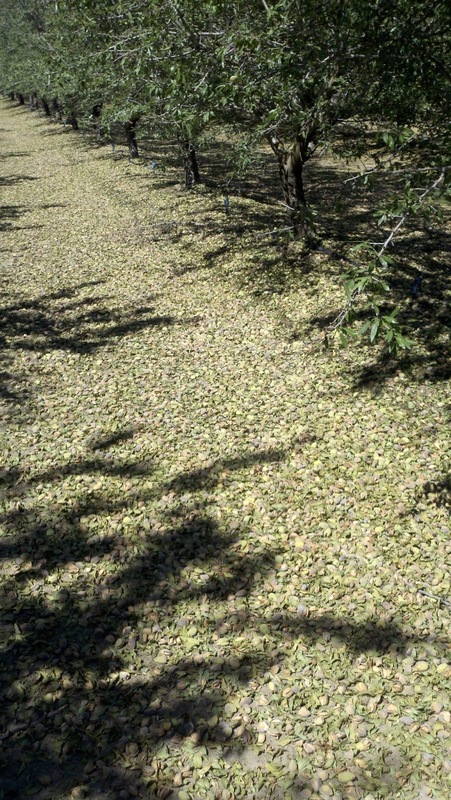 Nonpariel nuts on the ground at Carpenter. We like the coverage on the ground, it looks good. 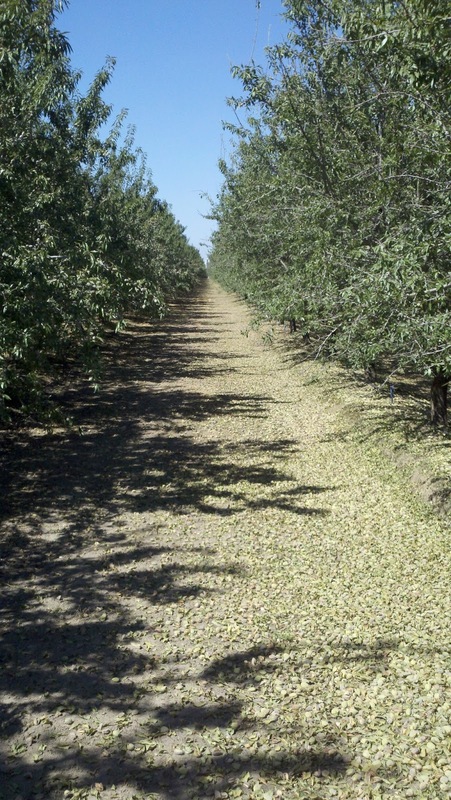 Once we finish shaking, the nuts will need 4 or 5 days to dry before we start sweeping.